So there I was flying up and down the A4 to work and back, which by the way is not a nice ride and I have grown sick of it fairly quickly, anyway I was running up and down and everything seemed fine. I was just on my way home, about 100m from the house and heard a “pop” and then lost all rear breaking. 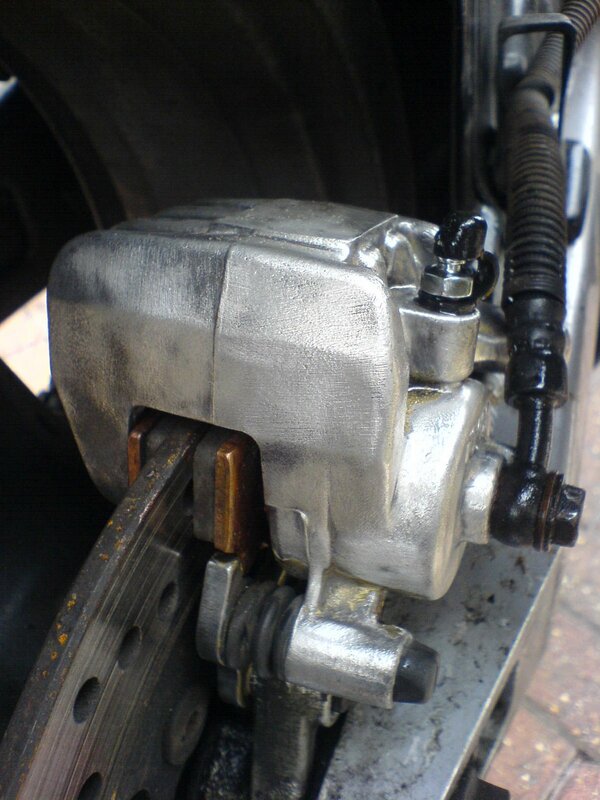 After another quick swearing session I got off the bike and looked, the bleed screw had completely come out and had barely clung onto teh top of the caliper. The threads in the caliper were completely stripped and there was no way of getting the bleed screw back in without retapping the hole and getting a bigger bleed screw. The only thing to do was get another caliper, ordered on ebay a few hours later. At least it had got through the MOT though and it didn’t stop me riding to work. 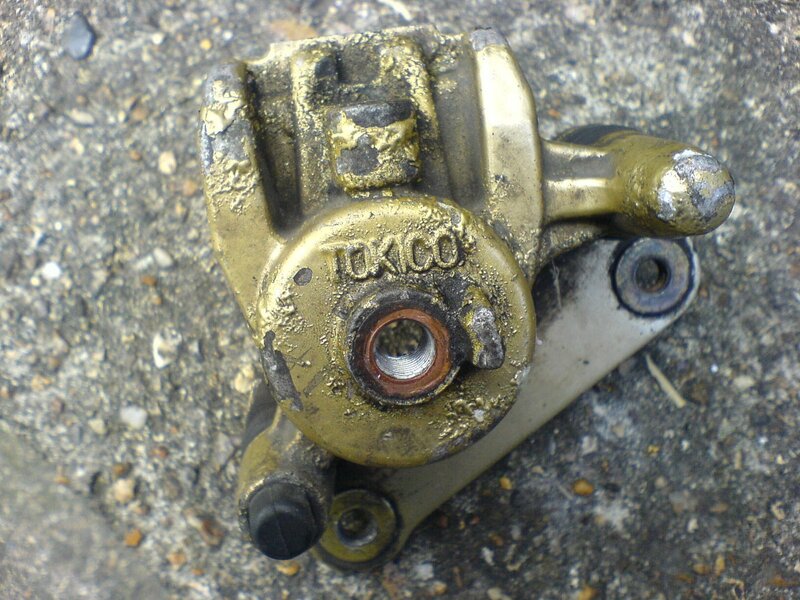 The caliper from ebay wasn’t exactly as described, it was in gold for a start and didn’t exactly look in good condition. After a bit of polishing and wire brushing it didn’t look too bad though although I will have to spray it at some point before the winter otherwise it will be furier than a fury thing.